I have been on instagram only for about a year now (but online since 1998) and try to stay pretty active and follow other Vintage Related instagram accounts. 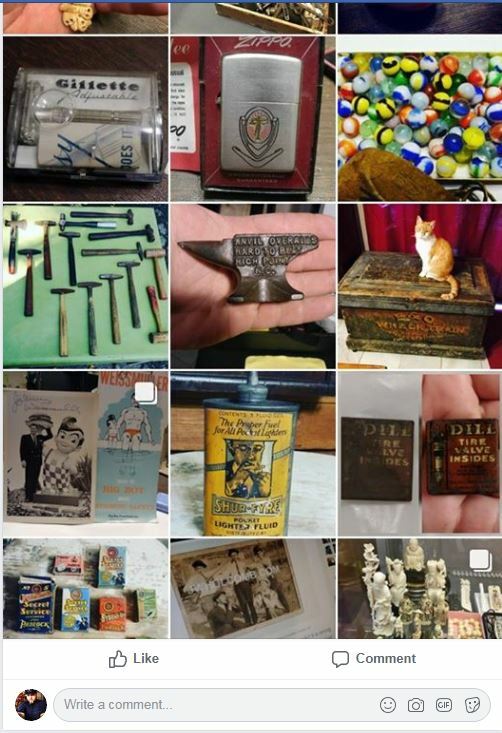 It is hard to find cool vintage accounts to follow sometime because some of the real awesome vintage related instagram accounts ae buried in a sea of other accounts that say they are “vintage” and are not really about the type of vintage stuff I like personally. For example when you search vintage on instagram here is the top posts that instagram shows today. IN MY OPINION THE TOP POSTS BELOW REALLY HAVE NO VINTAGE VISUAL APPEAL. I am sorry but 1990’s clothes, movies, and fashion from 1996 is not the Vintage I am looking for (it is popular and IS technically vintage). The problem is 90% of the posts that are featured high in the search feed are clothes from the 90’s or just not vintage at all. 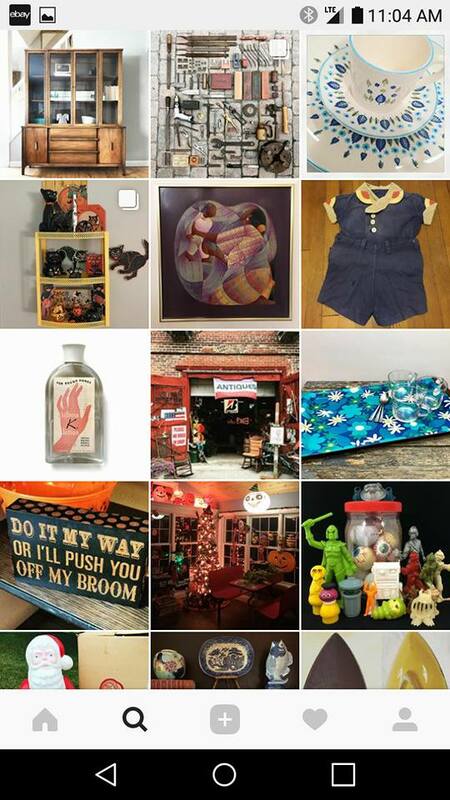 If you want to see more “hard” vintage items like actual vintage things other than 1990s clothes try searching alternative keywords like “Vintage Stuff”, “Vintage Toys”, “Vintage Signs”, or whatever you like specifically. Here is what the serch “Estate Finds” turned up for me – And – this looks like a step in the right direction. It appears to actually have some vintage items in the results. Goodwill Vintage Clothes? 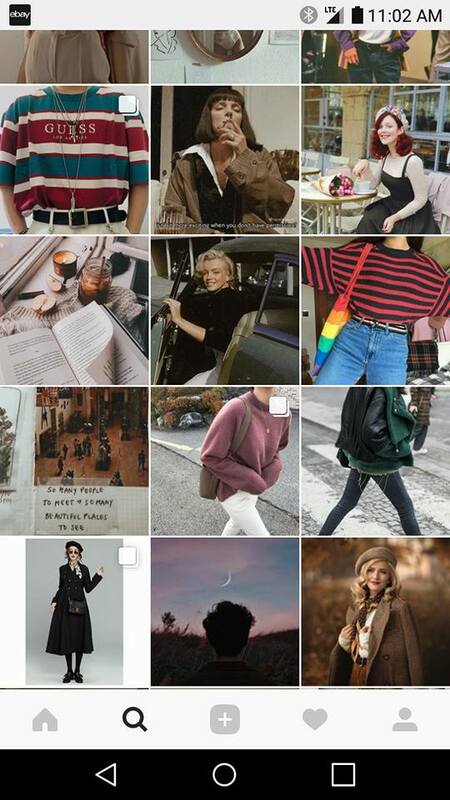 Should this be the top majority return on the search for “Vintage” on instagram? Most resellers think that vintage selling is simply going to the goowill (Goodwill) bins and pulling out some 80s and 90s clothes. Sorry again – BUT this does not make you a picker or vintage goddess. If you dig through 20 tons of rust, dust, damp/wet mystery material, and fight a snake or 2 to find a museum quality vintage item or hidden Vintage Jewelry Stash in a barn or unearth historically cool and significant hard items, THEN you are a vintage picker in my book. Don’t me wrong I have much respect for the hustle and love seeing people and resellers find great vintage labels at the Goofwill (Goodwill) – And some Vintage Clothes Reseller that make 5 Figures monthly working the bins and goodwill! I’m not knocking the hustle I just do not describe what they do as pure vintage “sourcing” selling. (I’m honestly and openly not a huge fan of the Goodwill as a company). I do post a lot of Vintage Jewelry, Some Clothes, and Other Interesting Items. I try to post unique stuff that is harder to find.